Recently, some of our volunteers took off on an adventure across the island to the police station at the Big Pom Pom resort. We had wanted to visit the police to build more of a relationship with them, and the easiest way to do this when there’s a language barrier is to play a sport- especially when one side is awful and can be laughed at by everyone! 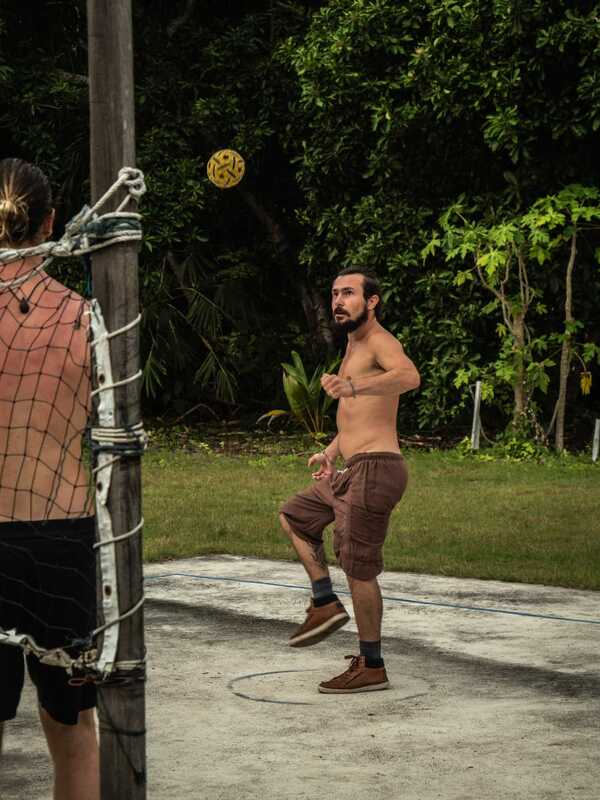 We decided to try our luck at a game of takraw- which is basically a modified version of volleyball played with your feet. Different versions of the game are taught all across Asia, with it being taught in PE in school in Malaysia and is often played between friends. Therefore, the police officers we challenged were incredible at the game… something we discovered about 10 seconds into watching them warm up! 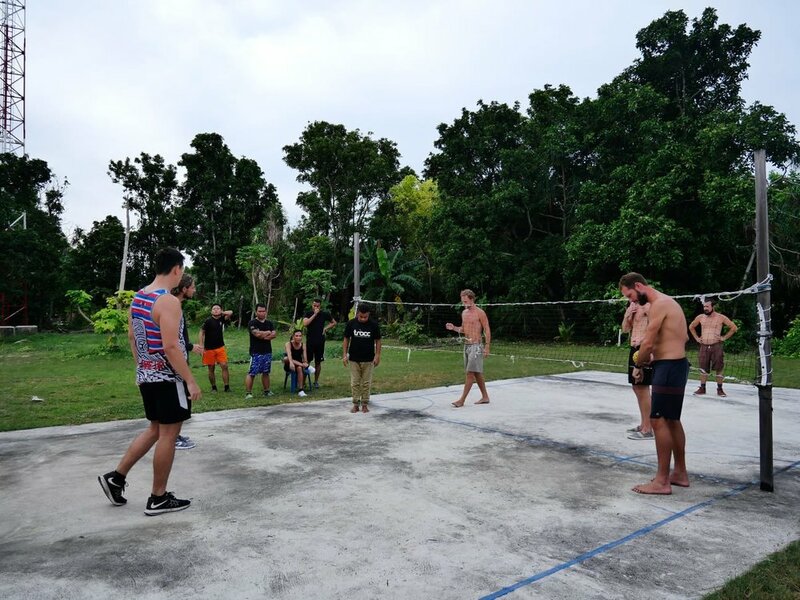 Like myself, the majority of our volunteers hadn’t played or even heard of Takraw before, so after speaking to our Malaysian science officer Jeeth, and some (a lot of) googling, we felt like we were ready to give it a go. · 3 people play on each side, in a triangle formation. · The rules are similar to volleyball, the difference being you can’t use your hands. You can use your legs, feet, chest, head… as long as it’s not your hands, you can use it! 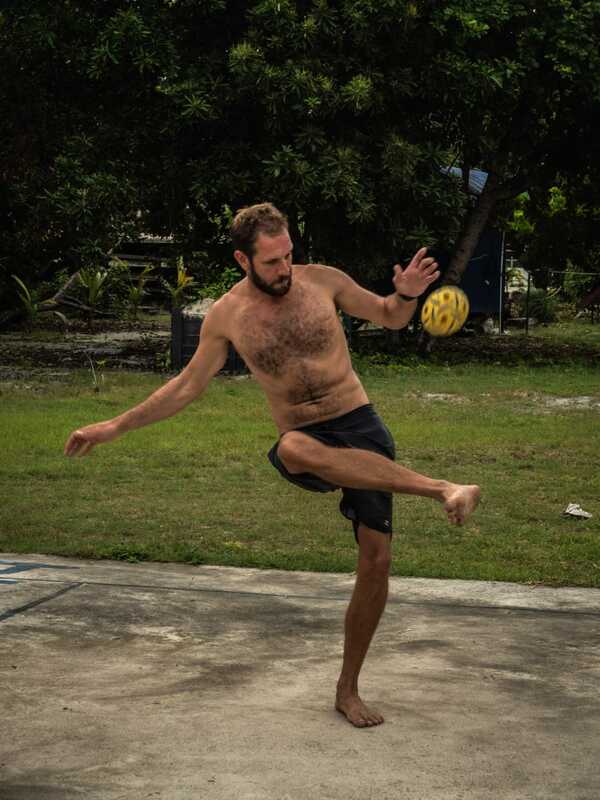 · You can only have 3 passes each side like in volleyball, but in takraw one person can hit the ball 3 times, rather than needing to pass it between hits. After watching the police play for a few minutes, we decided it was our time to shine! As you can see from the pictures, our volunteers gave it their best shot- with varying levels of success! We had to head back to camp after an hour or so of playing to help unload our boat of groceries and new volunteers, which suited us just fine, I think we’d underestimated how difficult the sport can be in the afternoon heat and with so many expert eyes watching us! It was a great way to bond with the police that protect both the island and us, we’re hoping that we can play a game with each new rotation of officers- about once every two months. That will give us time to prepare for the next game, as it was universally decided that we need the practice! In return, we will continue to take the officers diving on our house reef, showing them the work that we do, and spreading the conservation message. This is clearly working so far, as when Jeeth visited a local conservation centre on Mabul, one of the police officers recognised him as a turtle walker on Pom Pom!